Tour from Bali to Lombok 3 days 2 nights by speed boat! Tour Bali Lombok Package 3 days 2 nights is the best itinerary for those who want to visit Lombok by fast boat. You will travel from Bali to Lombok by Patagonia Xpress, which is Bali’s largest and most luxury fast boat from Bali to Lombok. During the cruise tour from Bali to Lombok, you will be stopped at Gili Trawangan, Gili Air, Gili Meno and Bangsal Harbour of Lombok. 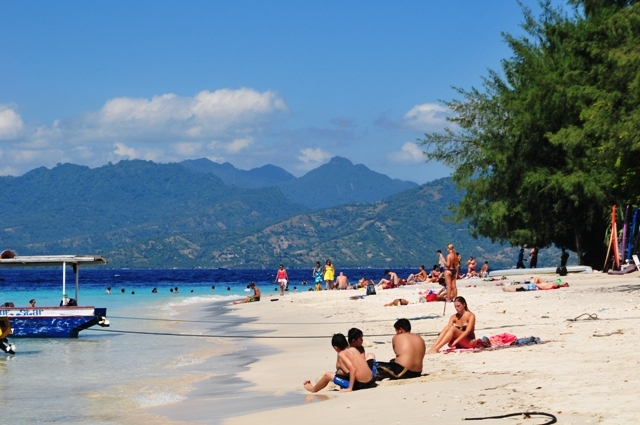 You will hop off at Gili Trawangan, and your holiday in Lombok will start from there. 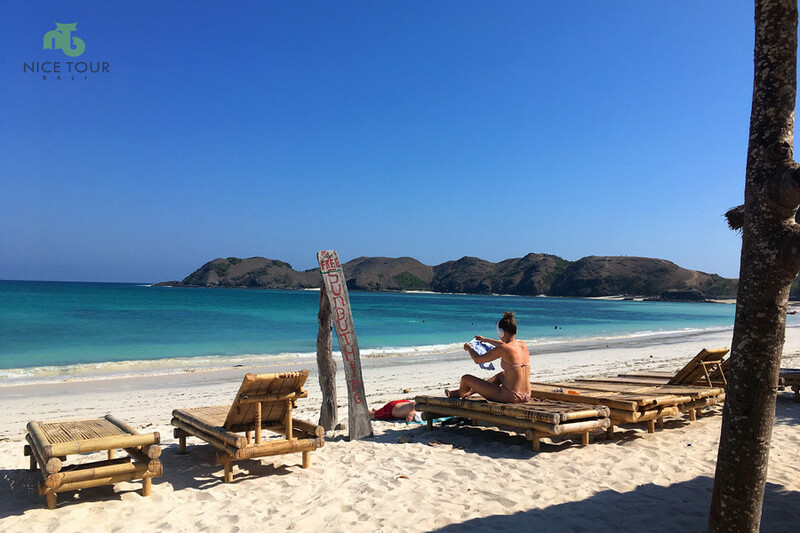 This Tour Bali Lombok Package 3 days 2 nights by speed boat is the best Lombok itinerary when you only have 3 days extra yet want to pay Lombok a visit and you will hop off at Gili Trawangan, and departing from Lombok via airport or port/harbor. Day 1: Travel from Bali to Lombok by Speed Boat! 07.30am: Pick up from your hotel in Bali, transfer to Benoa Harbour to catch your boat to Lombok – Gili Trawangan using – Patagonia Xpress. 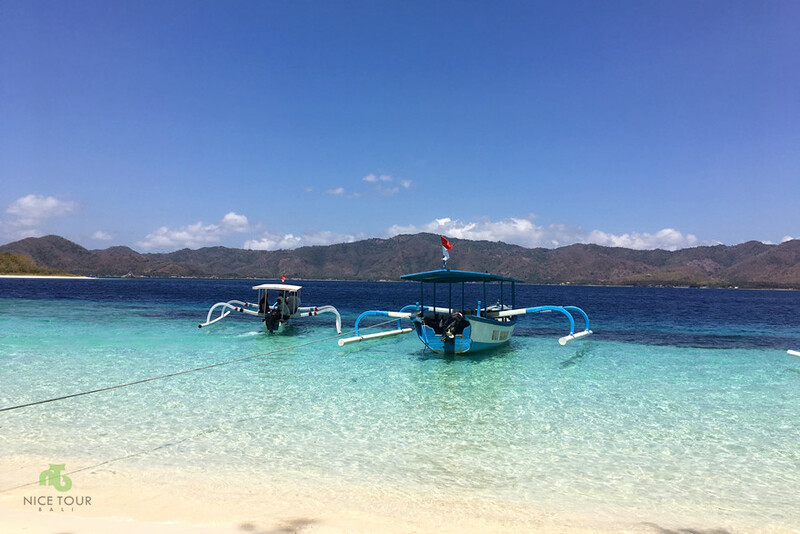 12.00pm: Arrive in Gili Trawangan, you will be greet by our staff upon hop off from fast boat, we will then bring you for lunch at Gili Trawangan Island. 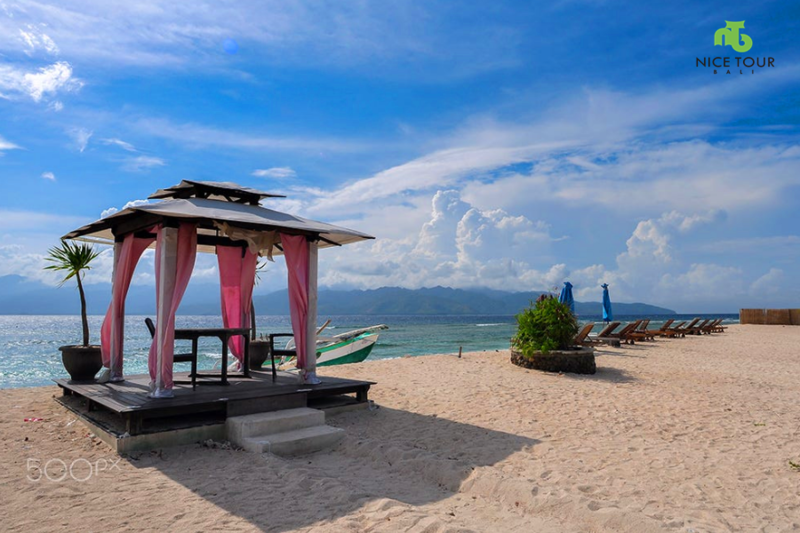 What to do in Gili Trawangan Island? OPTIONAL – all expenses at own! Gili Trawangan Snorkeling Tour – You can rent the snorkeling equipment easily and can do snorkeling tour in Gili Trawangan. You can seek help from your tour guide. Free & easy Time! – You can relax on the beach, taking photos , or relax at any restaurants, pubs on Trawangan Island by having beers, drinks, foods etc. Cedomo (horse cart) – You can go around in the Island with local transport- Cedomo (horse cart). At your own expenses. Per person cost around 100 000IDR to 150 000 IDR. Please seek advice from your tour guide. 05.00pm: We will depart from Gili Trawangan Island using private charter boat to Teluk Nare Port. Boat journey will take around only 10 to 15 minutes. 05.30pm: We will transfer you to your hotel in Senggigi. 00.00pm: Before check in your hotel, we will have dinner en route. 08.30pm: Check in hotel. Rest & relax. Tour ends. Day 2: South Lombok Tour to Sasak Village, Kuta Beach Lombok & Tanjung Aan! 11.00am: Arrive in Sade Sasak Traditional Village. Description: Houses and barns are built in traditional Sasak hatched style. The interesting facts: The marriage in this village is between the family, cousins and etc. The man will kipnap the woman at night. The local guide will provide you more information on the spot. 12.15pm: Arrive at famous Kuta beach of Lombok. Optional: If you want to go for a swim, remember to bring a set of changing clothes. After Kuta beach, lunch at local restaurant at Kuta Beach. After lunch, depart to Tanjung Aan – Beautiful beach with pepper sands and landscape. 07.30pm: Pick up for dinner at Furama Beach Restaurant for Grilled Seafood Dinner. After dinner, you can choose to let our driver send you back to your hotel or for a drink at Senggigi street. Transportation after the drink will be at your own expenses. Day 3: Lombok - Departure! 00.00pm: Free & easy until time to transfer you to airport or harbour for your onward journey! All land transportation in Bali | Pick up from your hotel in Bali and transfer you to Benoa Harbour to catch your fast boat from Bali to Lombok. Fast Boat ticket from Bali to Lombok using Patagonia Xpress, and hop off at Gili Trawangan Island. Private speed boat charter fees from Gili Trawangan to Teluk Nare Port at Lombok mainland. All land transportation in Lombok. Accommodations x 2 nights in Lombok based on 3 star hotel – Puri Saron Hotel. Travel from Bali to Lombok with speed boat Patagonia Xpress – Bali’s largest and most luxury fast boat. Visit south Lombok beach – Tanjung Ann Beach and Kuta Beach Lombok. Visit Sasak Village with Sasak Village Tour.